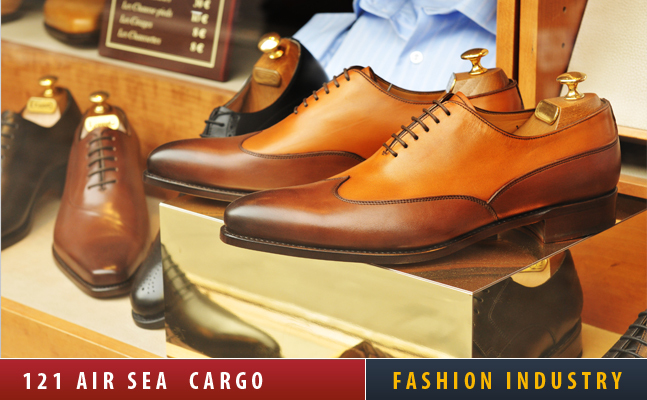 At 121 Air Sea Cargo PLC over the years, we have helped hundreds of manufacturers, wholesalers, retailers for import and export of their articles ranging from Jewellery and accessories to footwear and garments. We very well understand the ever growing competitive fashion industry inside out and can assist our clients by taking care of all their logistics needs. “121 Air Sea Cargo PLC Fashion world team” will always act as your in house logistic department. We can give you advice on most cost effective methods of shipping to suit your delivery requirement and can keep you updated at times about the status of your items. We provide services tailored to each customer’s individual needs. With our flexible operation and robust systems we can report to you the status of your goods in transit as you like by using your Purchase order numbers or article numbers as reference for all communication. You can always rely on 121 Air Sea Cargo PLC for timely deliveries to your warehouse and also directly to your buyers with most competitive rates. We provide specialised services for air, sea and road freight for all import and export shipments. 121 Air Sea Cargo PLC provide services for secure warehousing, labelling and relabeling, pricing and tagging, packing and repacking for your products. We specialize in import and export of items mentioned below. Bags (handbags, briefcases etc), cosmetics, footwear, jewellery, apparels, garments, leather garments, fashion accessories.